make it FORTY-EIGHT – TWO! Charlie was great – tossing TWO scoreless – what a lift to have him back in the pen! Tom was a bit stirred without his deadly curve tonight but, he wasn’t shaken and with the bases loaded and only one out – his DEE come through with the DEE PEE!! Wow! Michael drives in FOUR of the FIVE runs with TWO 2-run homers! KW was down 3-0 with THREE different hitters with RISP – and he STRUCK ’em ALL OUT! the only hit he allowed in 1-2 innings was a lead-off double and then proceeds to strikeout the next two and get a fly ball for the third out. -Thames (after striking out 3x) singles on a 1-2 count, Figgy scores…. From the pitching to the hitting, nothing was working. 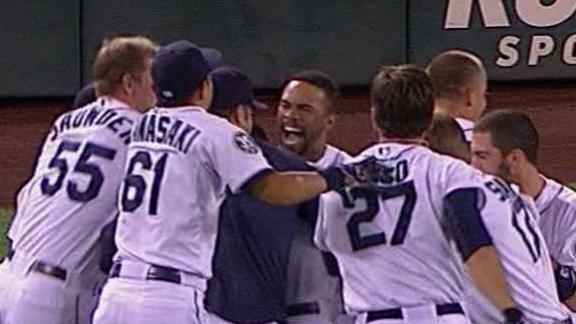 The O’s threw a rookie, Steve Johnson, at the M’s and they didn’t have an answer at all. Kind of a cool story (though too bad it had to be against the M’s) it was 23 years ago to the day that Steve’s his dad, Dave Johnson earned his first major league win (also with the Orioles). like hitters 1, 2, 6, 7, 8, 9 going O’fer AND Mune’s bases loaded bunt in which Carp was tagged out at the plate AND Millwood with his worst outing of the season. Off to Anaheim … oh joy. The bad news: the M’s only mustered THREE total hits. Millwood threw a lot of pitches (109 in 6 innings) but kept ’em in it till the 6th when he gave up the 2-run homer to Chavez – which could have been, but was not, called fan interference. 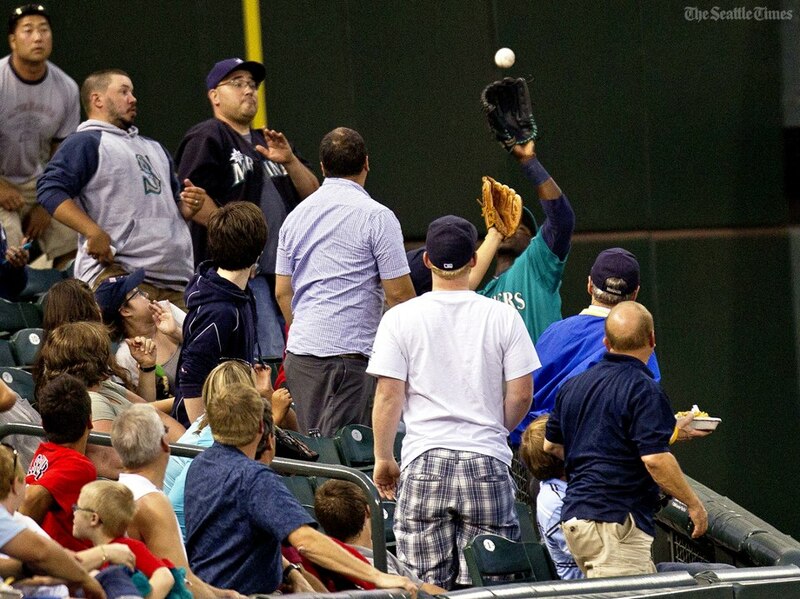 Larry Stone ‏@StoneLarryThames said the Chavez homer hit a fan’s glove, then his, otherwise he would have caught it. Despite throwing SIX 100/101mph pitches (of 12 total) he gave up a hit to Martin, a walk to Granderson and then Jeter laid down a sac bunt. 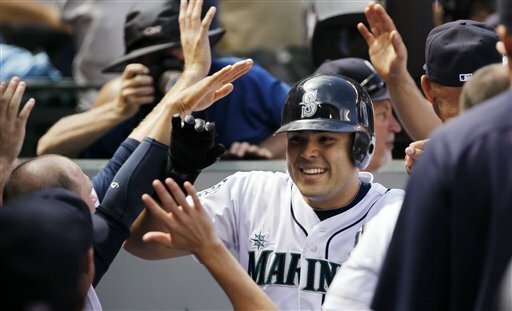 Unfortunately, Perez replaced Capps and allowed a couple of singles to Cano and Ibanez and both of Carter’s runners scored. 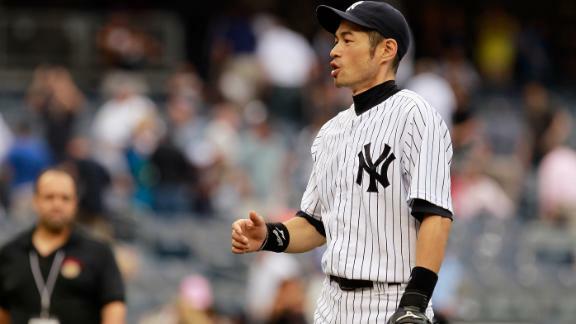 He has exactly one hit in each of his 10 games with the Yanks so far and zero walks, zero strikeouts. It took him 106 pitches to get through 6+ but Kevin did what he’s been doing with regularity of late (with the exception of his last start against the Royals) – kept them in it. He also did something he hasn’t done with regularity all season – earn the victory. Nice to see a bit of a crooked number posted in an inning – and with a bit of a power display: Jesus mashed his 10th homer, Kyle followed up with a double and was singled in by Miggy. League, who has been pitching really well for the past six weeks or so, allowed a run in the 8th (on a double and a triple). Thankfully, the bats were able to rally with a little small ball and got the run back via a couple of walks, a steal, a sac-bunt and a sac-fly to keep the lead at two heading into the 9th. “Closing time” got a bit interesting when the Bartender, after getting two quick outs, allowed a run on a single and a triple but, was able to get the third out via a ground out. giving up SEVEN of the Royals EIGHT runs. Steve Delabar (back from AAA without even going there, as Charlie Furbush was placed on the DL w/ a strained left tricep), Oliver Perez and Josh Kinney combined for 2-2 scoreless innings – until that third pitch in the 9th inning, from from Josh to Billy Butler, that didn’t come back. Felix with the early start tomorrow! Danny Hultzen went SIX and gave up ONE run on THREE hits with ONE walk and EIGHT strikeouts vs. Sacramento tonight. Little did everyone know, that wasn’t even the HALF of it – now tied 1-1 Go, R’s! !